The Brighton Festival launches its 50th anniversary this year. 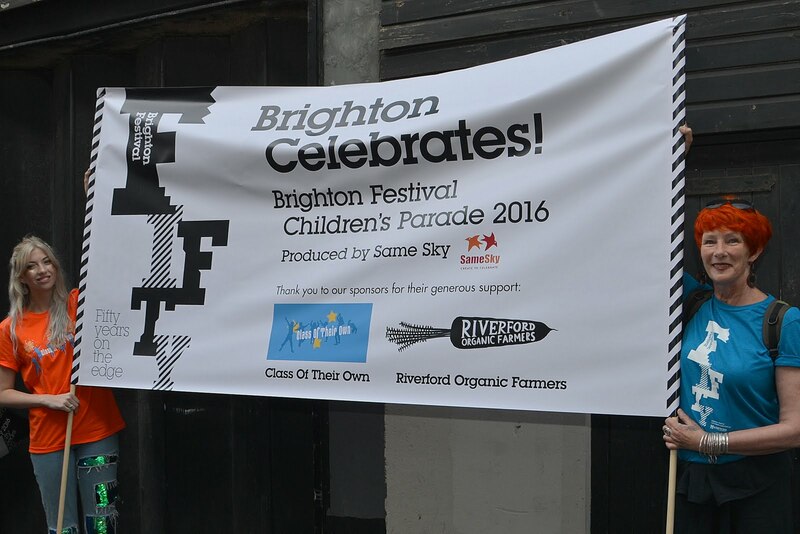 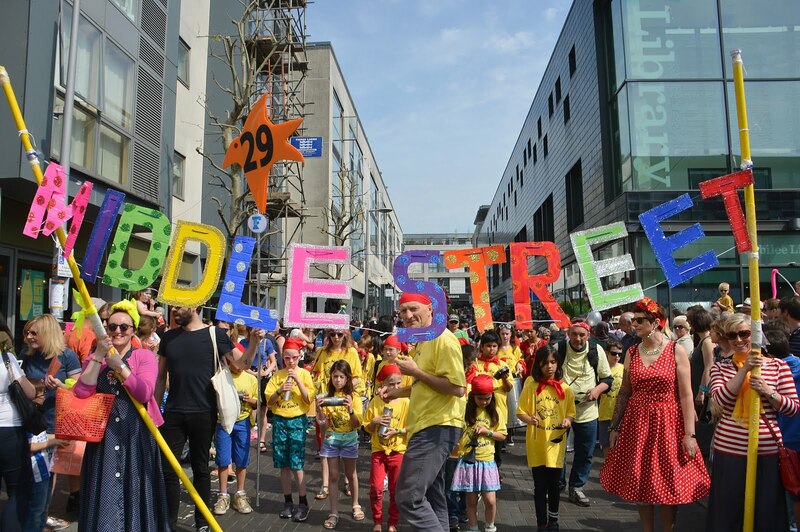 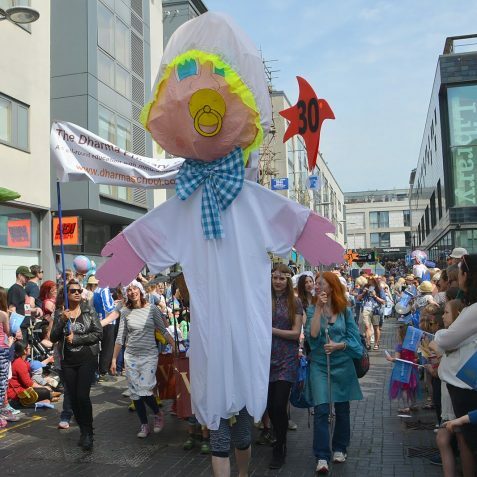 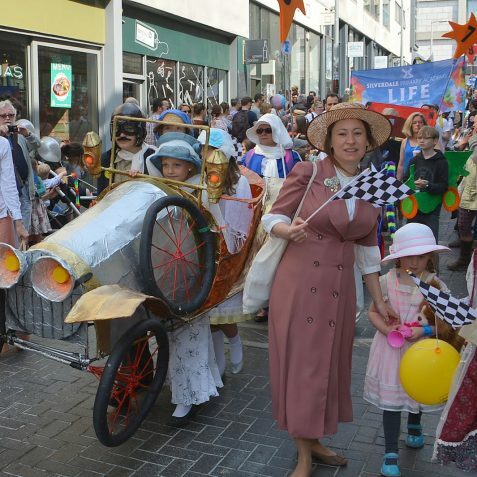 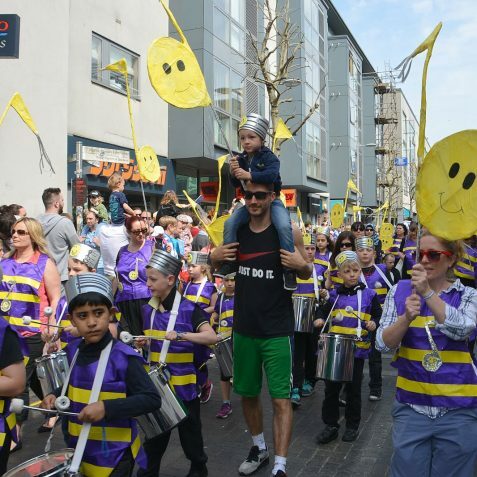 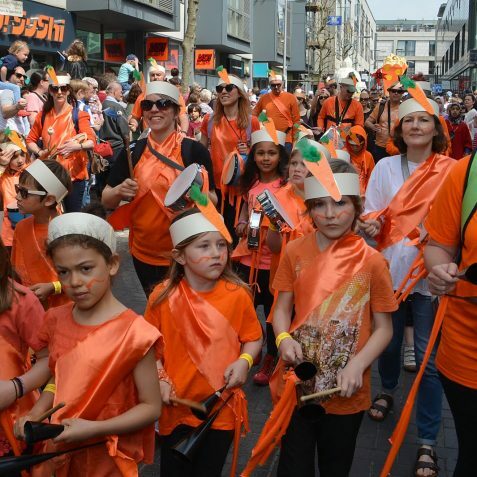 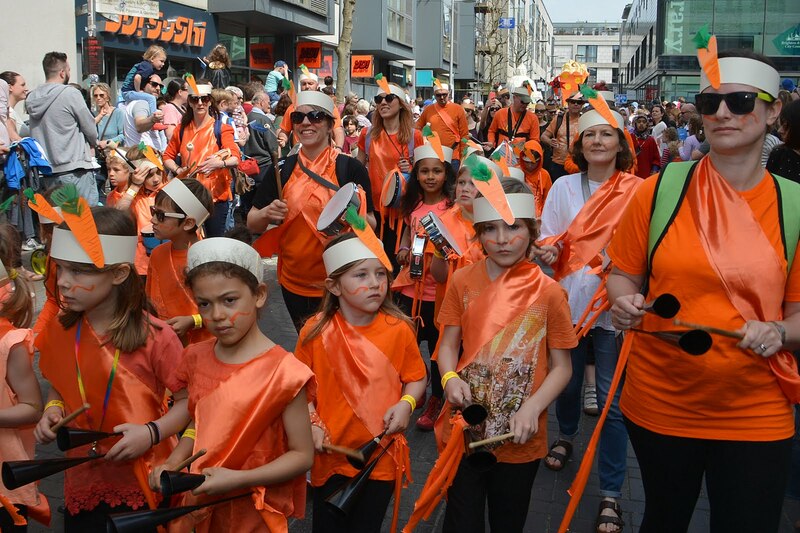 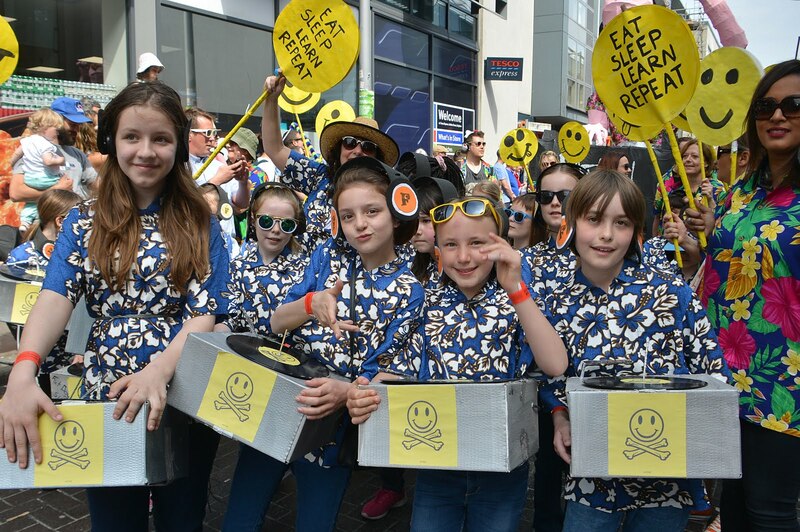 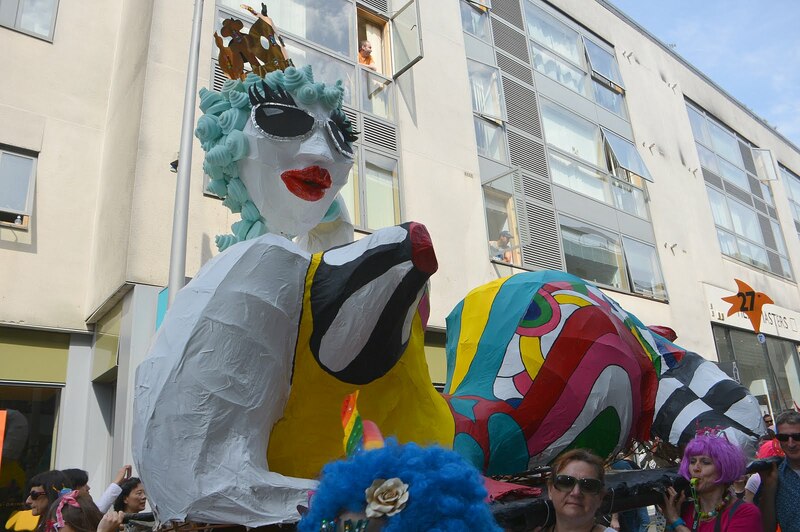 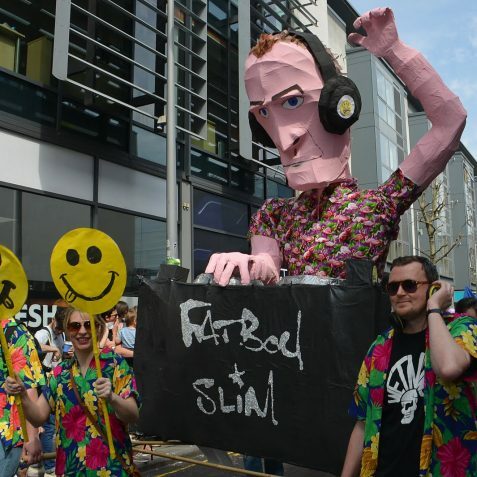 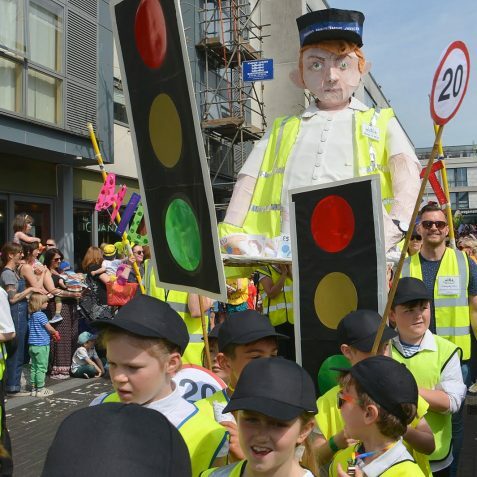 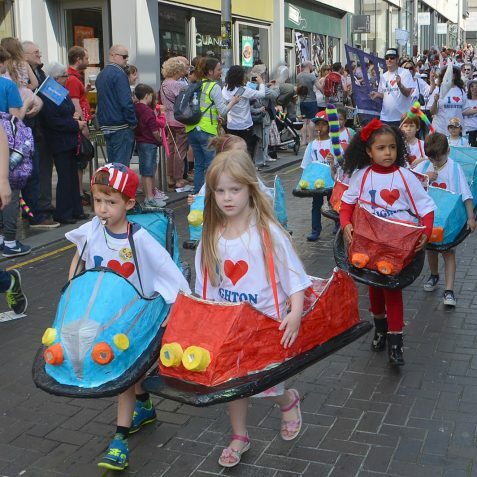 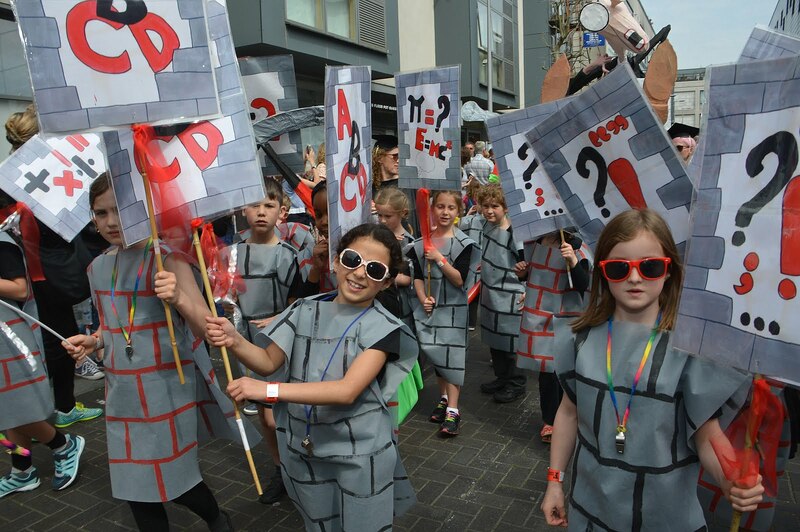 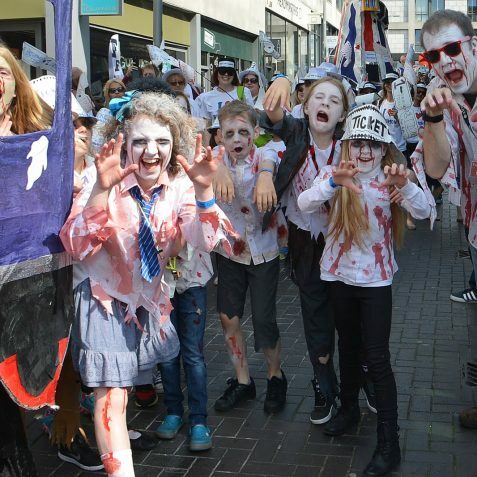 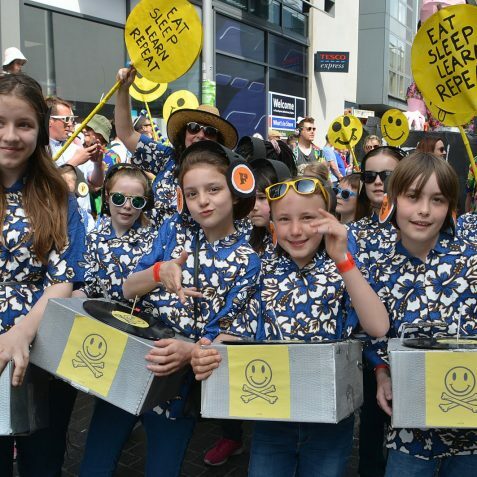 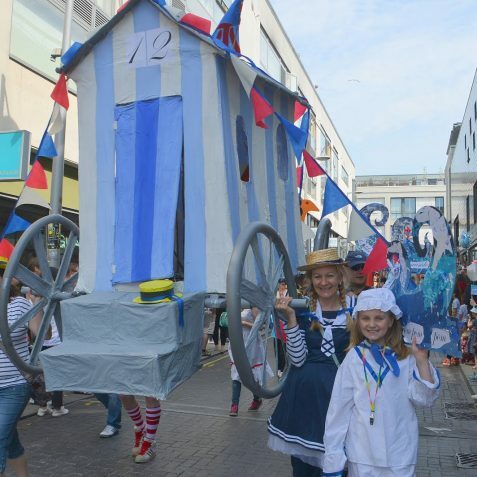 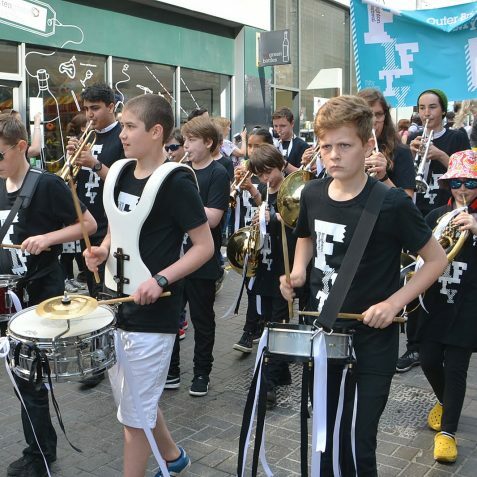 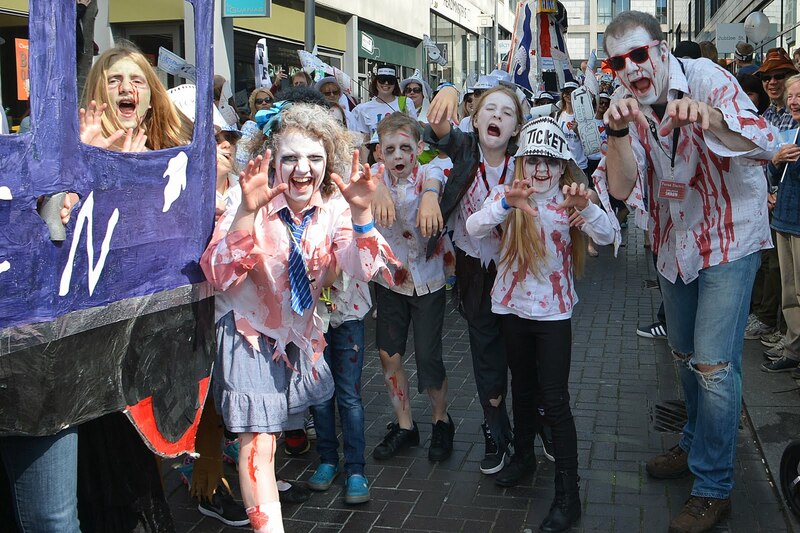 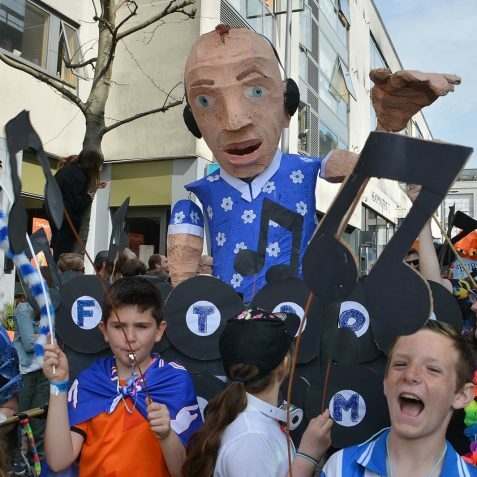 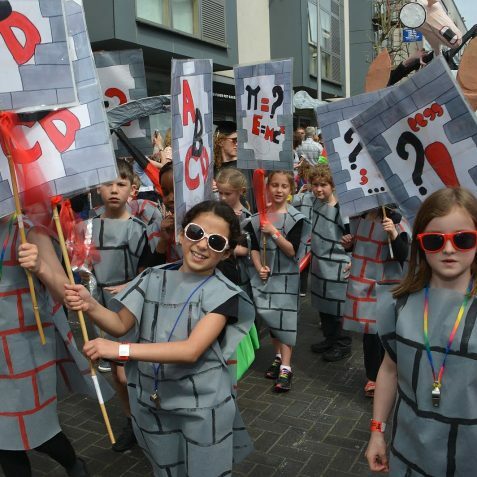 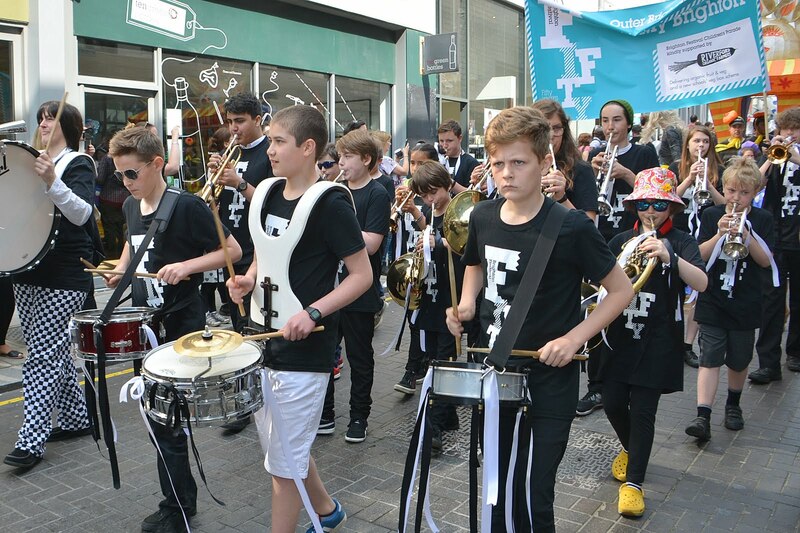 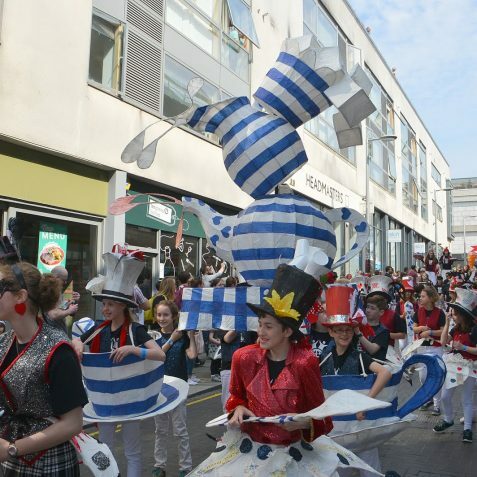 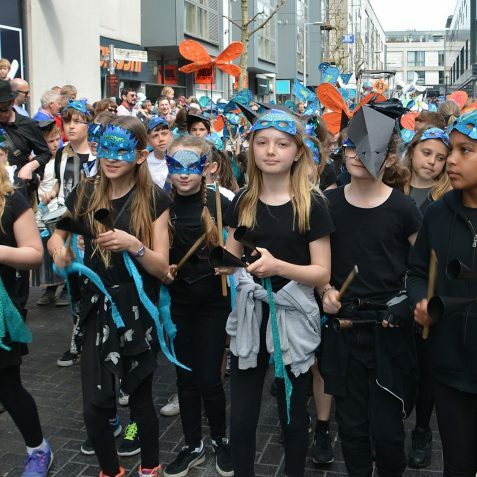 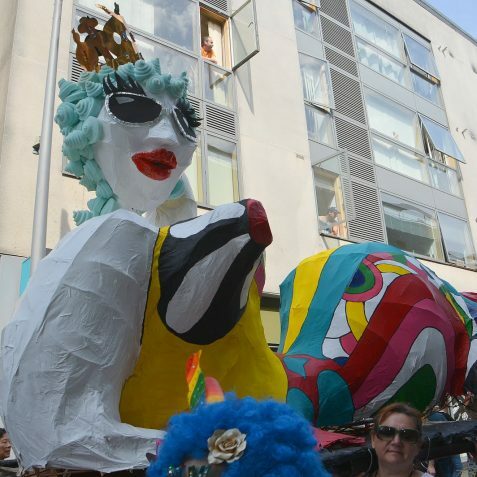 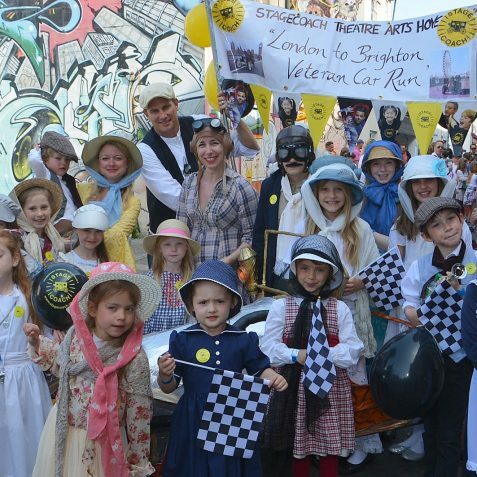 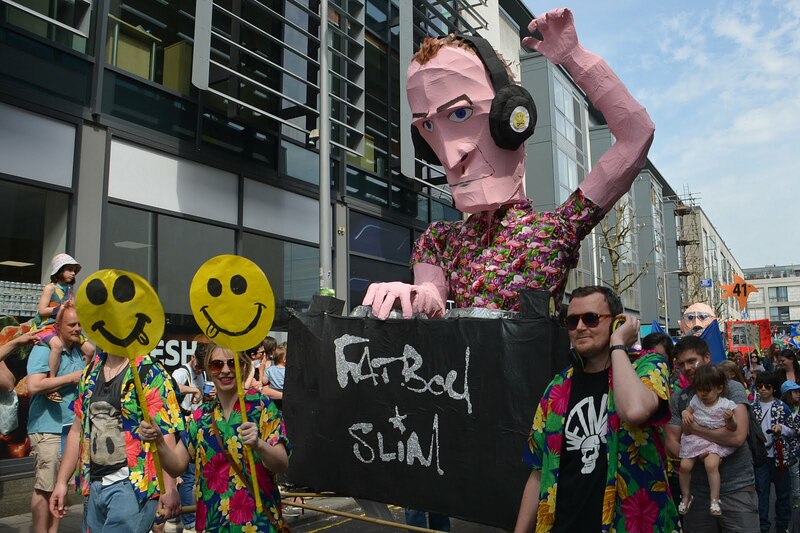 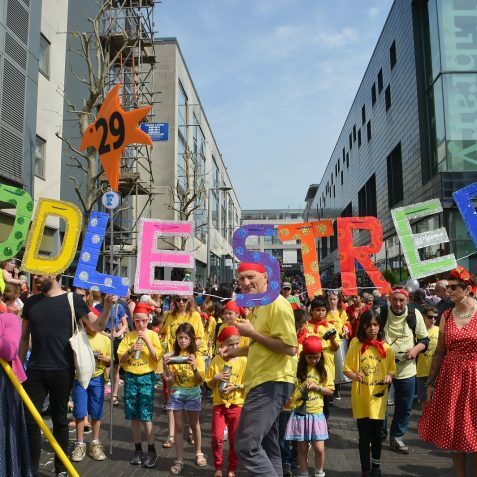 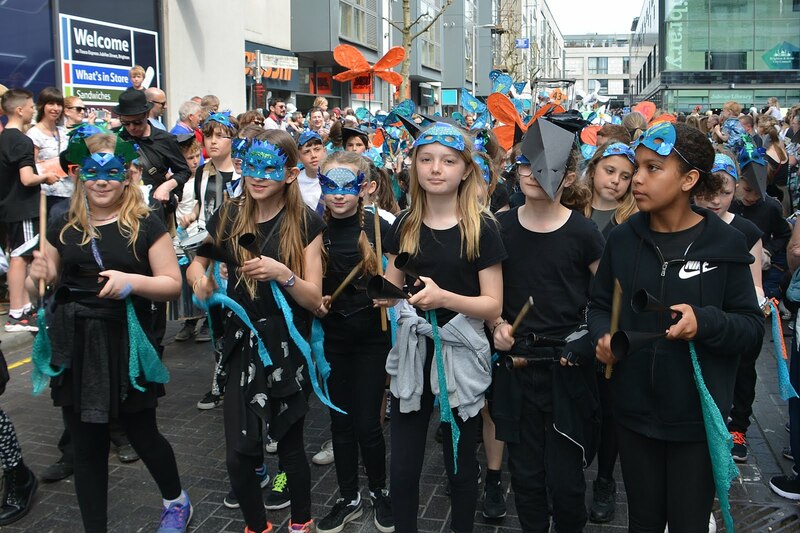 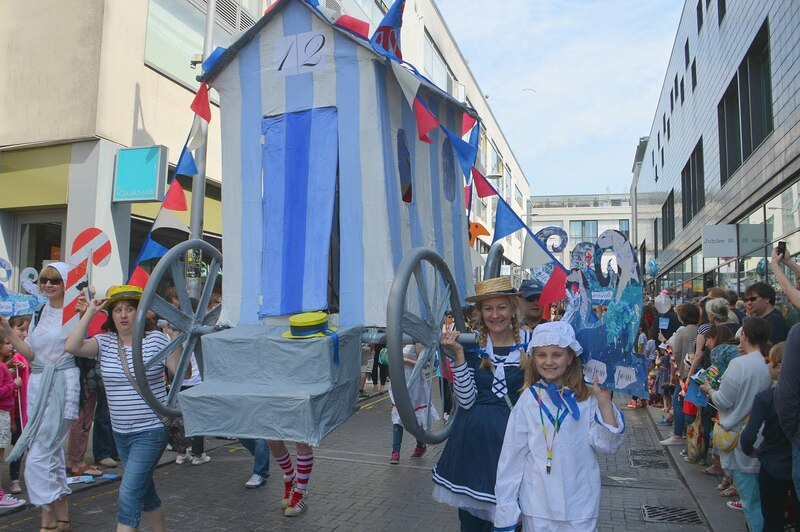 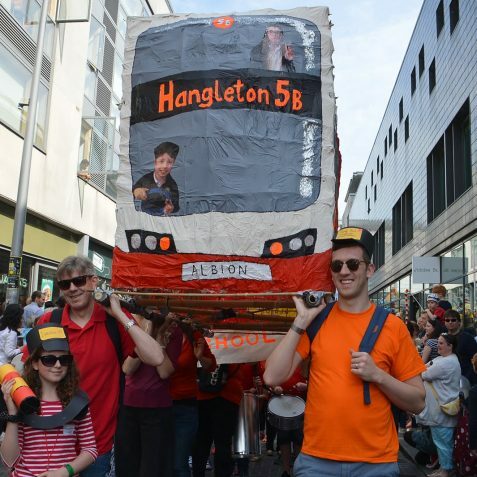 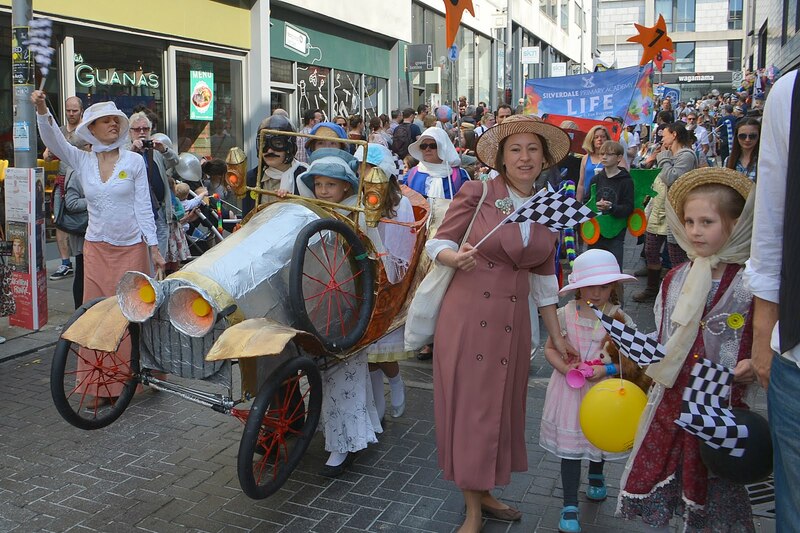 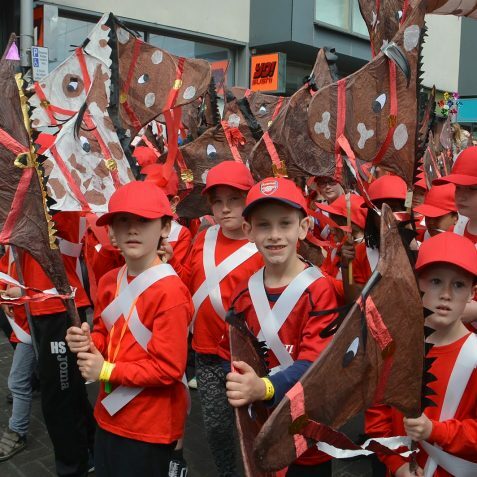 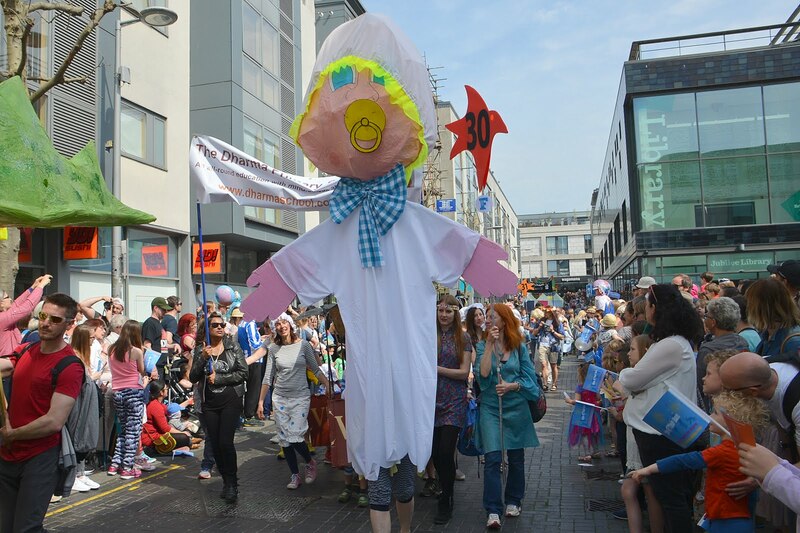 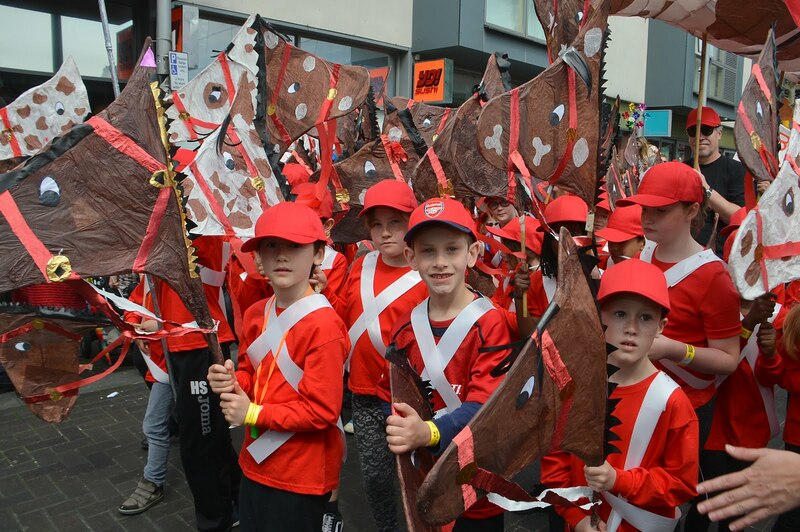 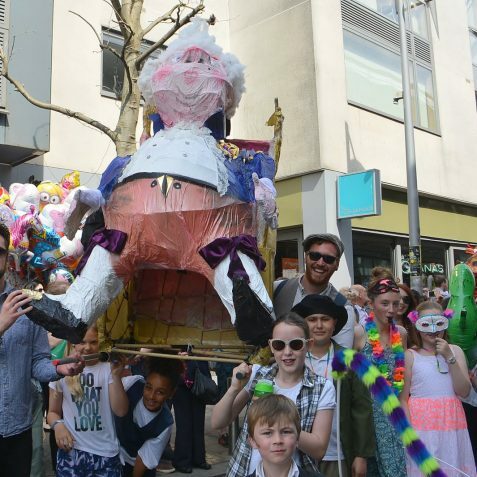 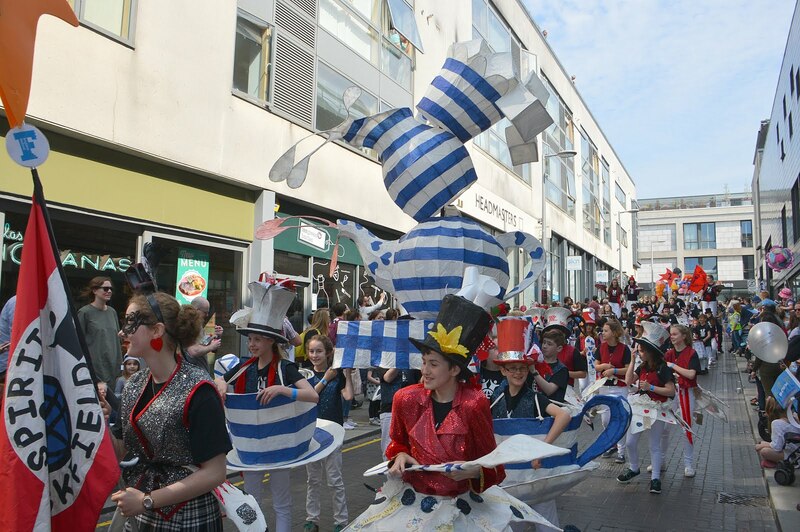 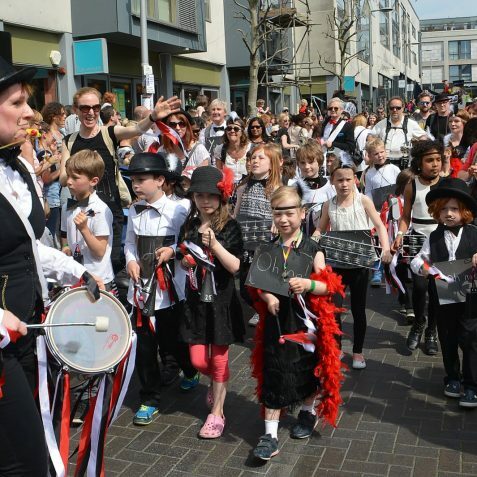 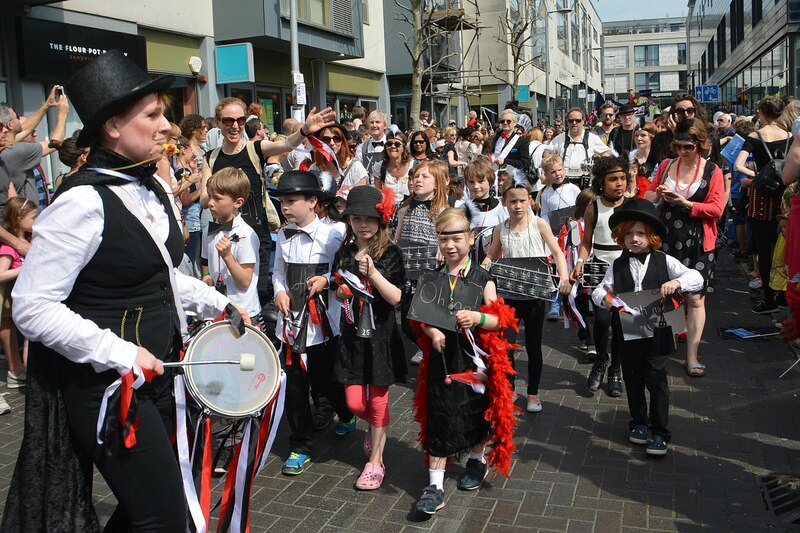 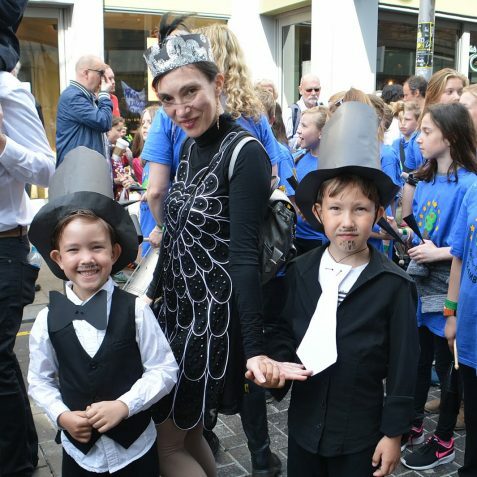 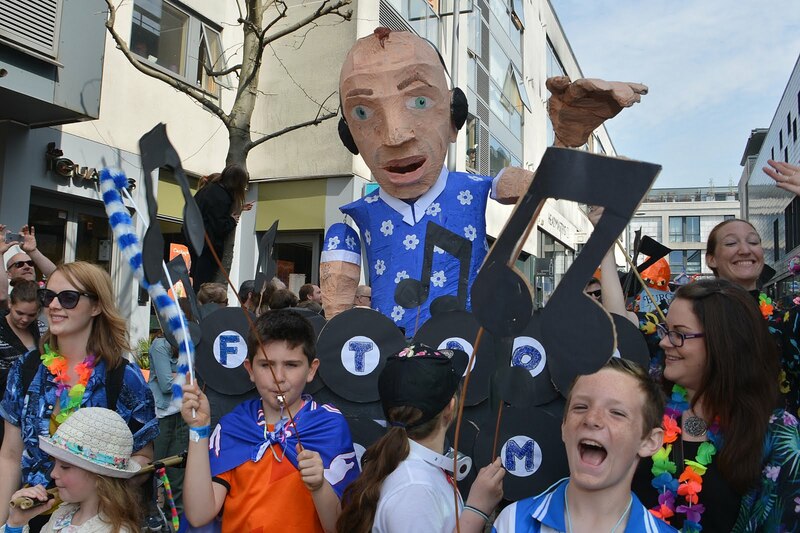 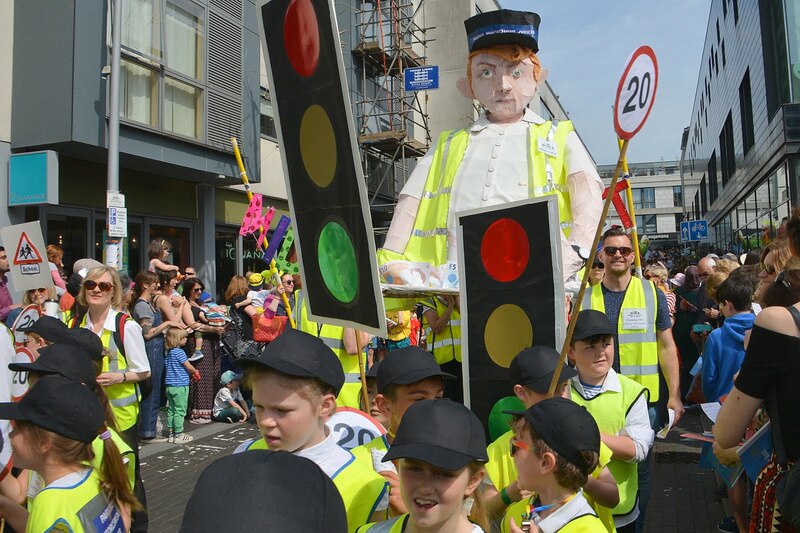 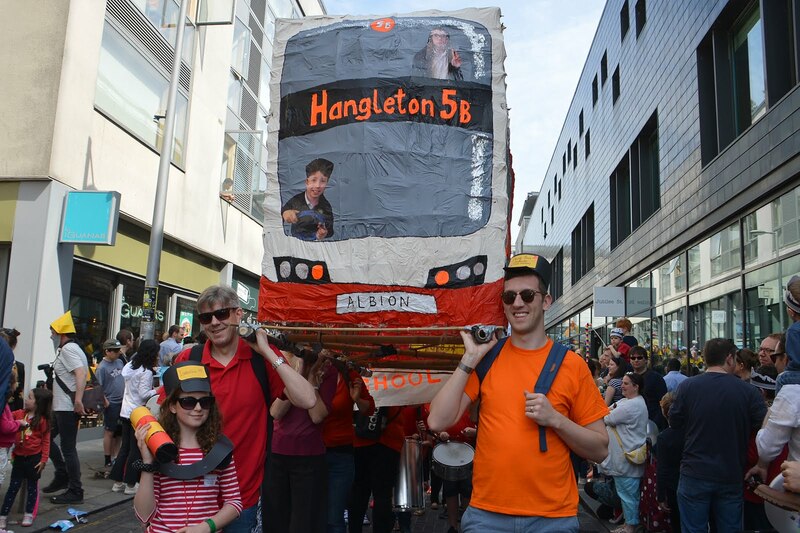 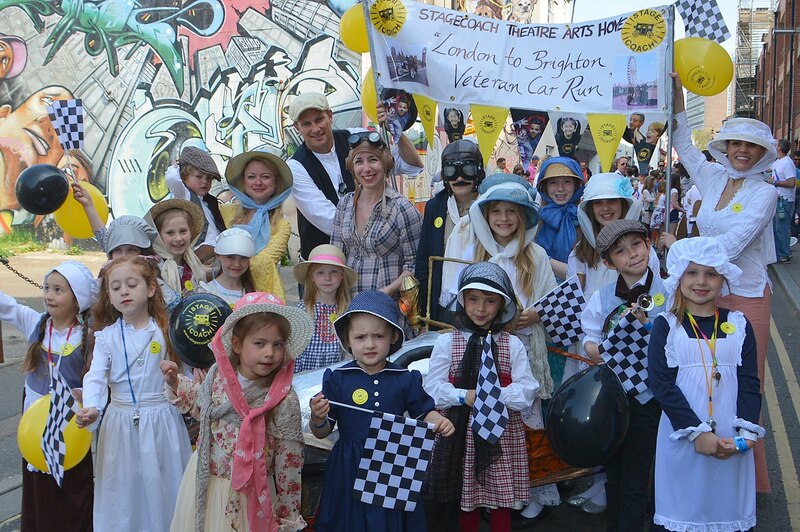 For over 25 of those years the Children’s Parade has launched the annual celebration of innovative arts and culture which comprises the Brighton Festival which is now one of Europe’s leading arts festivals. 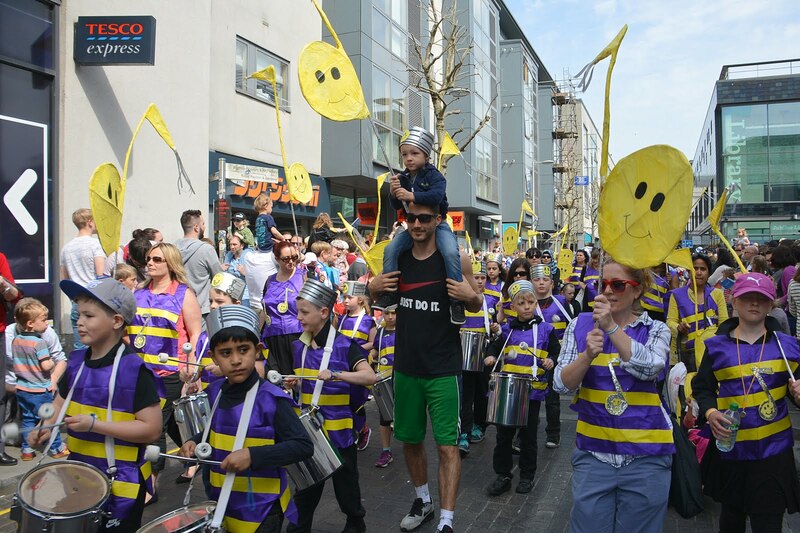 The Children’s Parade involves approximately 5,000 local children from almost 80 schools ranging from infant to secondary. 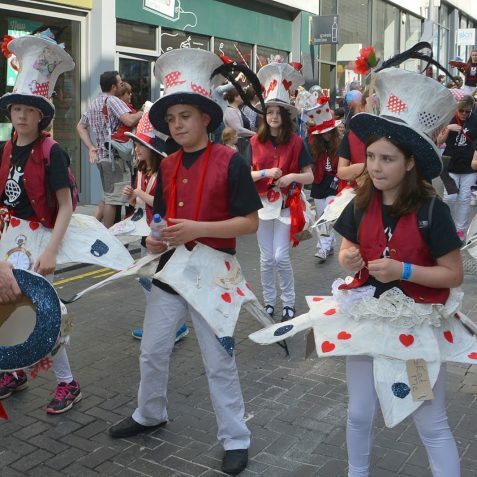 The children and adults involved in the Children’s Parade work for many months previously designing and making their show-stopping costumes. 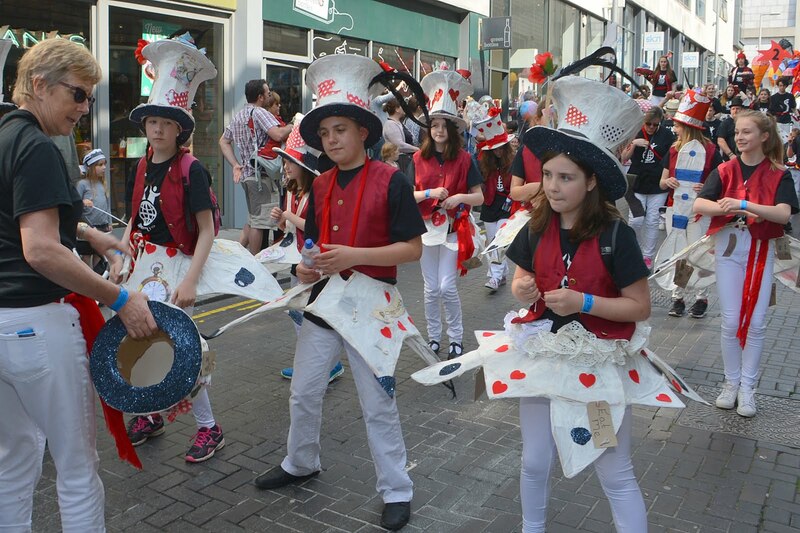 On the day, the culmination of their hardwork results in a flamboyant procession of dance and entertainment. 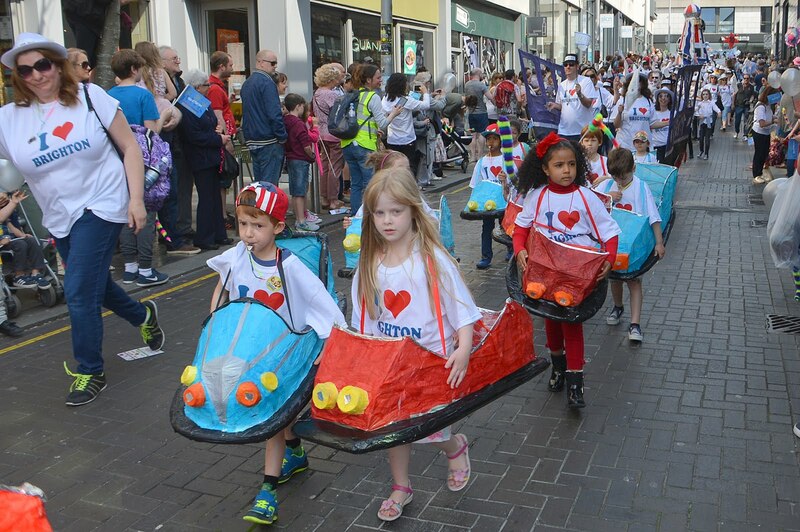 Every year approximately 10,000 people turn out to watch the parade which is now the largest children’s event in the UK. 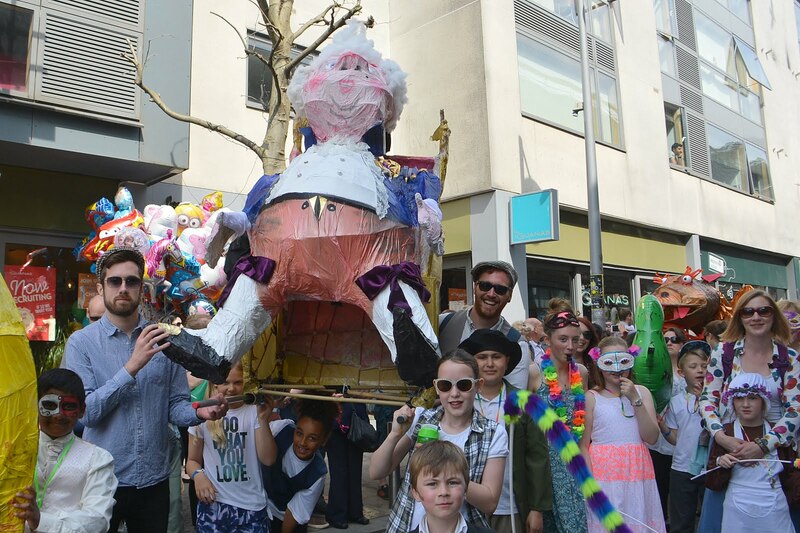 History as it happens! 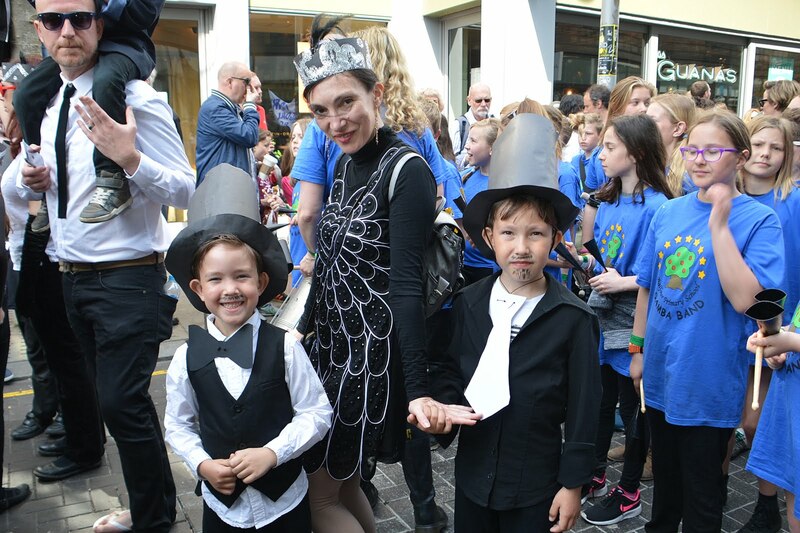 Cheers, Jennifer – great shots, Tony!